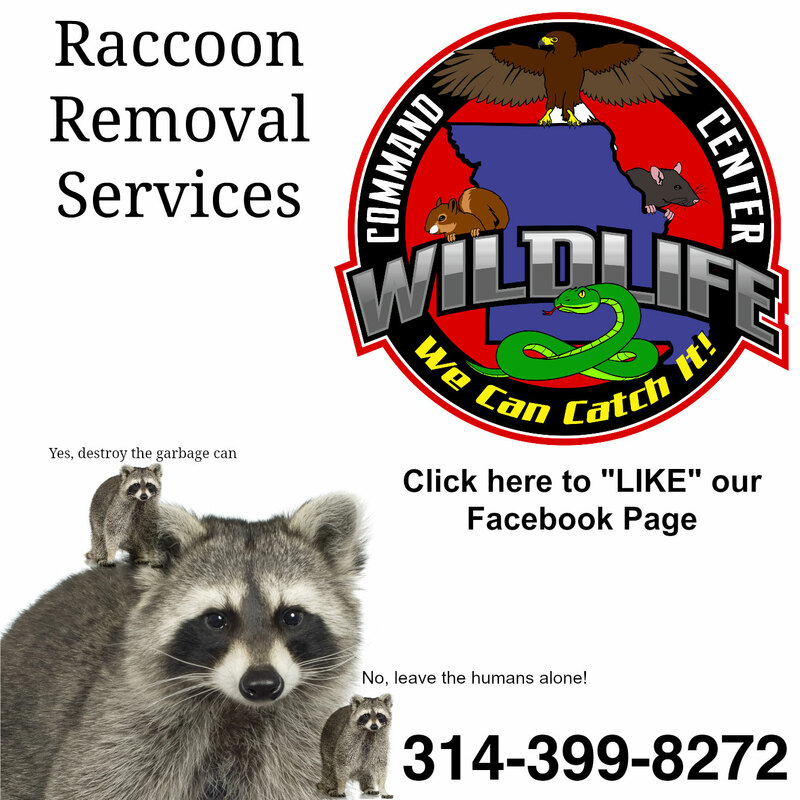 RACCOON REMOVAL EXPERTS I’m sure you are sick and tired of those noisy, filthy and horrible creatures that disturb your peace and cause you serious irritation. I know your house doesn’t look as beautiful as before due to their increasing presence and voluminous droppings. I’m so certain you know what I’m talking about; it’s the RACCOONS in your wonderful home. 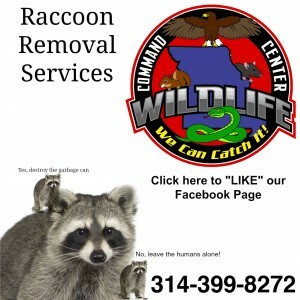 Not to worry, just contact the best Raccoon removal company St Louis Wildlife Command Center beran.michael@gmail.com.